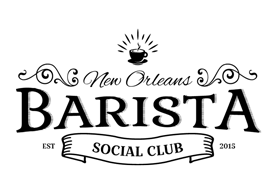 New Orleans Barista Social Club is a continuance of the effort of many coffee professionals who sought to elevate the presence of specialty coffee and the professional barista in New Orleans. 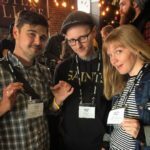 SNOB gained other core members, including Greg Hill and Anderson Stockdale, and the organization hosted meetings on topics ranging from SCAA/BGA guidelines, espresso machine mechanics, pourovers, latte art, and other topics. They supported sending the first local competitors to the South Central Barista Championship in 2009; four New Orleans baristas competed. Notably, SNOB also organized two annual New Orleans Coffee Festival events that were held in conjunction with the Freret Street Festival. According to Knipmeyer, “At one point we probably had 10-15 baristas who would show up and chat, but we couldn’t get any momentum because the city just wasn’t ready.” By 2011, the organization dissolved. 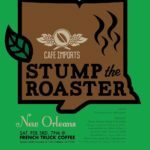 By late 2013, specialty coffee in New Orleans was blossoming, but many individuals furthering that evolution were head-down, focused on their own shops and development. As a new-to-the-craft barista, organizer Aleece Langford was in search of community and knowledge sharing among her peers. 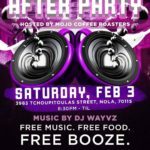 Under the name Nola Baristas, monthly, somewhat informal gatherings were instigated under the tagline, “Let’s talk shop… or not. 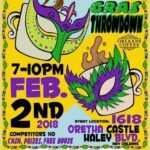 Coffee in New Orleans.” The events were hosted by coffee shops around the city and covered a variety of topics. A corresponding Facebook group connected baristas and coffee professionals throughout the month. 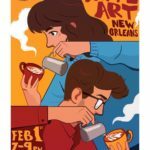 In January 2015, Aleece began collaborating with Jonathan Riethmaier to transition Nola Baristas into New Orleans Barista Social Club, an umbrella organization that would continue to present these informal, interactive and informative talks under the name Coffee After Hours while adding in a competitive component in the Thursday Night Throwdown series.